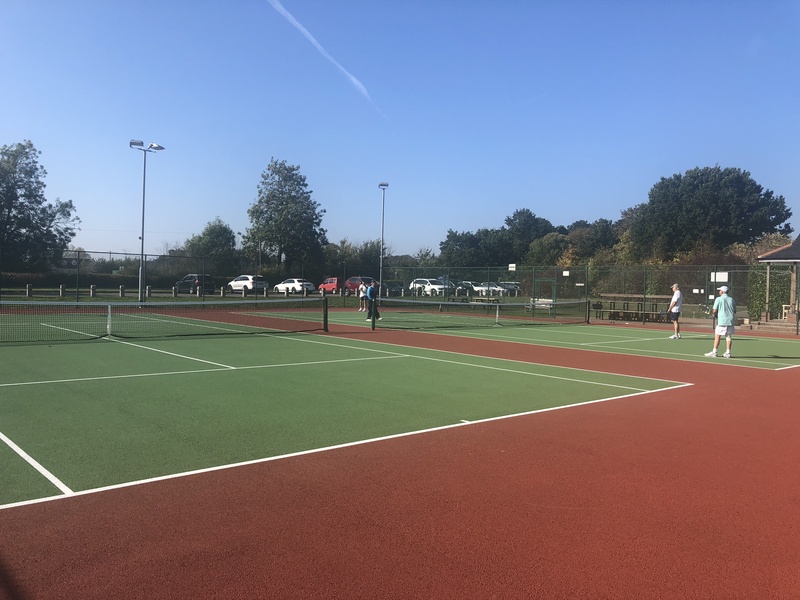 A family-friendly, popular tennis club in rural mid-Essex is enjoying a new lease of life, thanks to the resurfacing of four Macadam tennis courts to the highest standard by the ETC Sports Surfaces team. Having laid the original tennis courts for this client in 2004, we were of course delighted to be invited back to complete these important rejuvenation works! 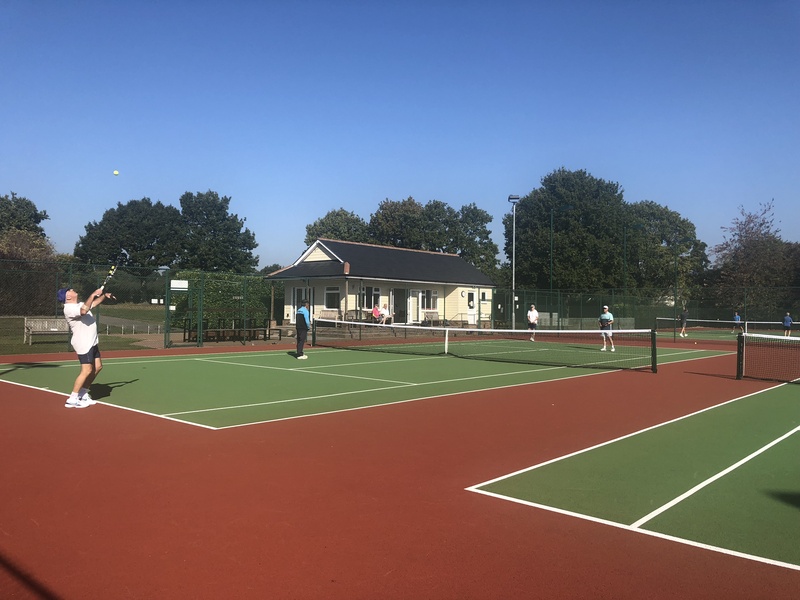 Wickham Bishops Tennis Club encourages social and competitive tennis for adults and juniors, through a packed programme of club sessions, coaching, tournaments and local league matches. 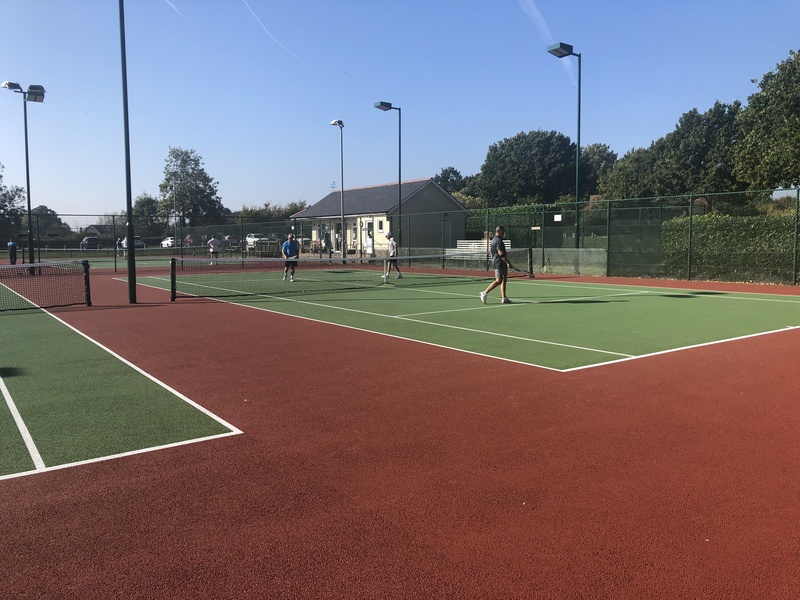 In July 2018, the club’s committee decided it was time to rejuvenate its tennis court surfaces to ensure that they are up to the highest standards for many years to come. 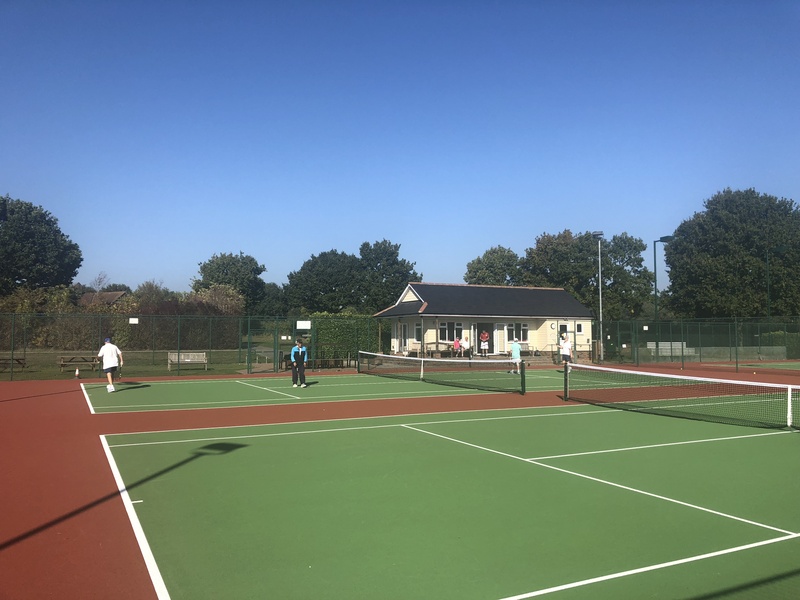 As well as benefitting from a fully equipped sports pavilion (part funded by Sports England and the Essex Lawn Tennis Association) Wickham Bishops Tennis Club also enjoys full floodlighting, gearing the site up to provide comprehensive facilities for keen local players. This means that courts are in constant use, so ensuring the right level of tennis court maintenance and timely resurfacing is crucial to meet members’ expectations. The decision to resurface the courts came after feedback was sought from the club’s members by the management committee. 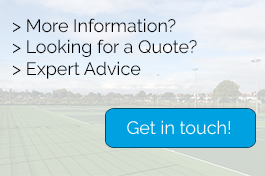 Having confirmed that members felt the time was right to proceed with replacing the tennis surfaces, the committee chose ETC Sports Surfaces due to the quality of our tender, our competitive pricing and the fact that they had contracted us previously and been completely satisfied with our work. 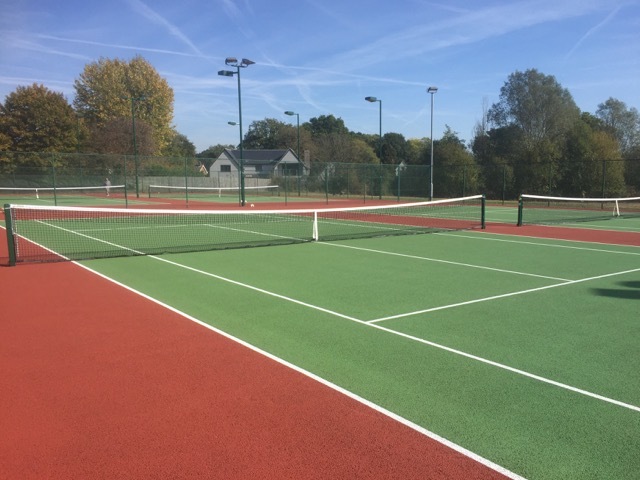 To meet the needs of this particular client, our specialist team selected a Macadam tennis court surface called Courtfalt – supplied by our trusted friends at Hanson. This surface is crafted from a 6mm porous asphalt, which offers superior performance and durability combined with guaranteed drainage properties. That means that Wickham Bishops’ new tennis court surfaces will always be safe for play in optimum time, even during the wettest weather conditions. Ensuring that outside tennis courts are free draining and weather-proof is important not only to maximise court usage, but also to protect the safety of players taking to the courts after heavy rain. We began works on the 30th July, to ensure that our tennis court resurfacing didn’t interfere with the club’s Tournament Finals Weekend – a major social and competitive event for members which takes place towards the end of July. Knowing that members would be eager to take to the new courts as soon as possible, we committed to complete all works within six weeks, including respraying the courts to revitalise their colours and markings. Our ability to combine respraying into the main body of the works was a particular attraction for the committee, as they had previously thought that respraying might not be possible until spring 2019.